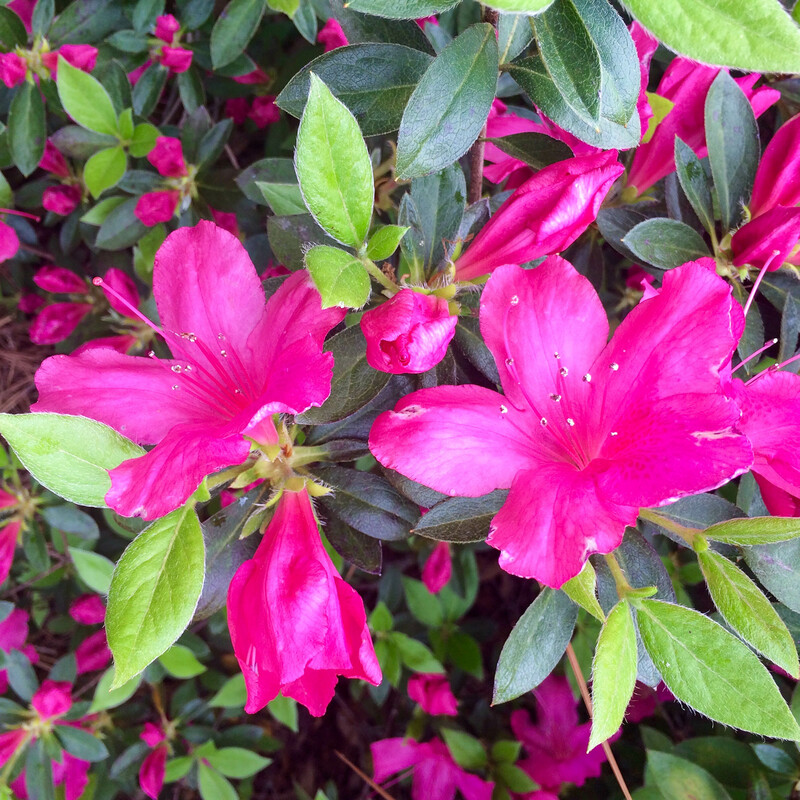 If you live in North Carolina or have ever had the pleasure of visiting the Tarheel state, I’m sure you’ve heard about the North Carolina Azalea Festival! 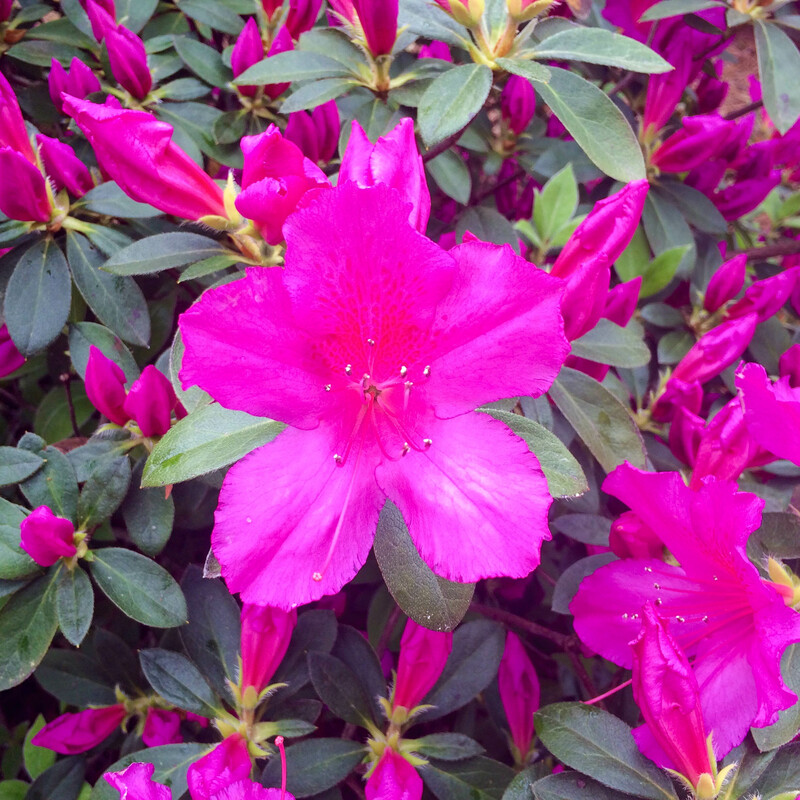 Wilmington hosts the festival each April and showcases the Port City’s beloved azaleas. It is held from Thursday-Sunday and is jam packed with multiple events. 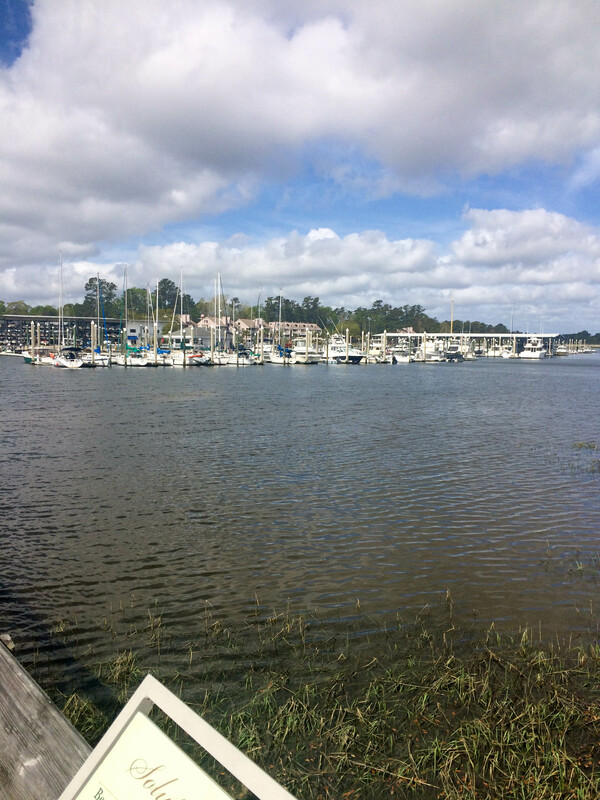 There are waterfront headliner concerts, a big street fair chock full of vendors with local artisans, handmade crafts, jewelry & all different kinds of artwork. There were plenty of food options too- from fried pickles and “fair food” to gourmet food trucks. 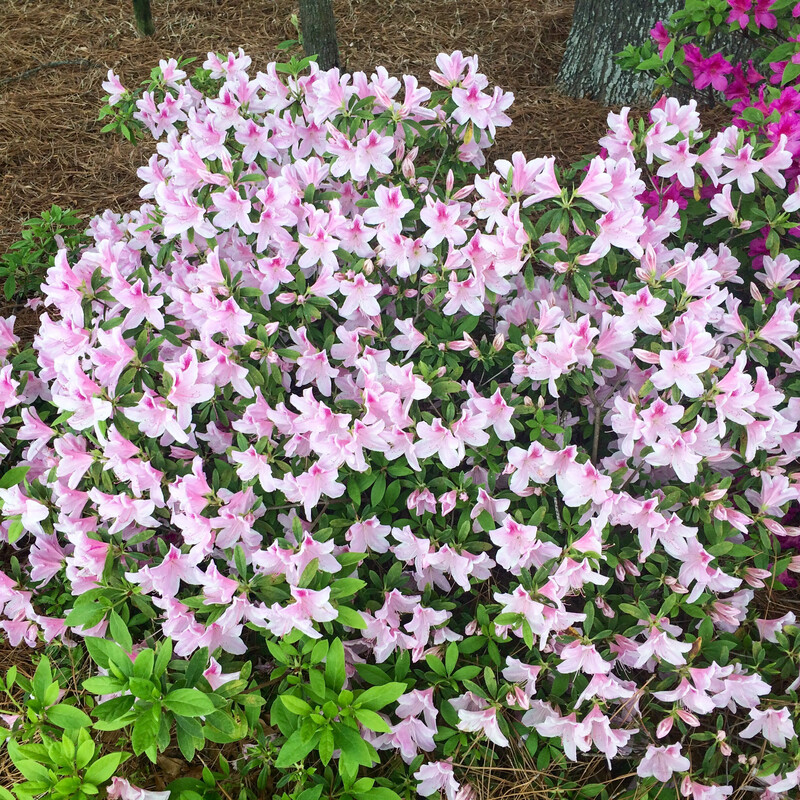 There are a wide variety of other events, including luncheons & garden/home tours. 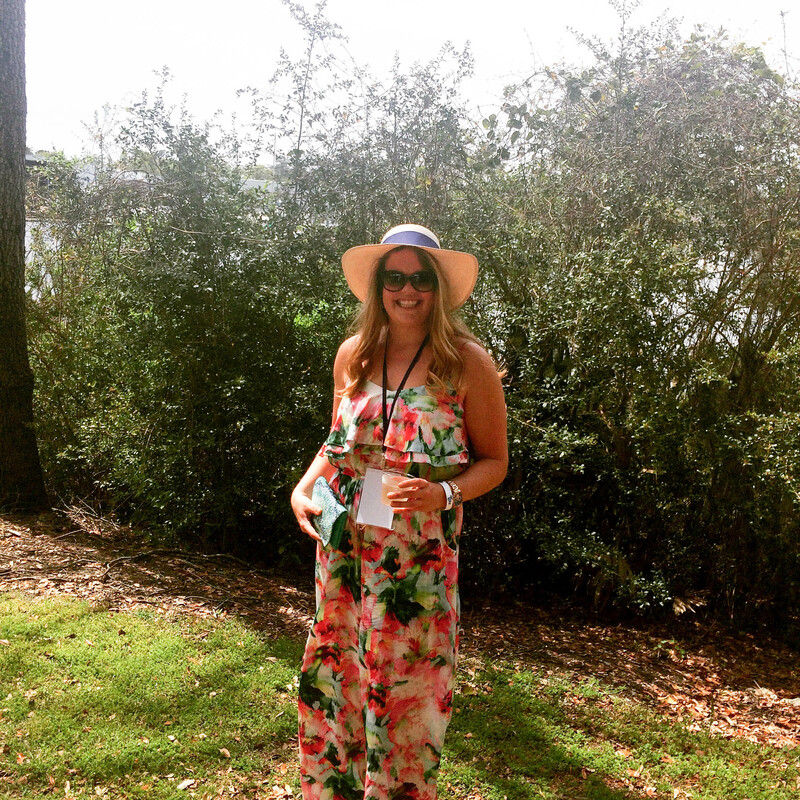 I had the opportunity to attend the legendary Garden Party at Airlie Gardens on the Intracoastal Waterway on Friday. 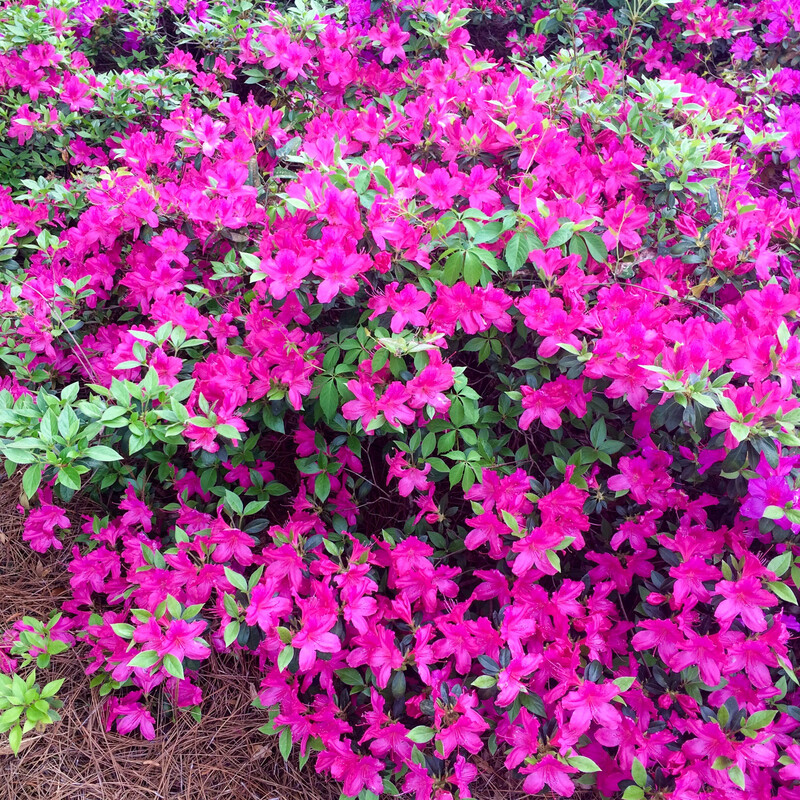 The Azalea Queen, Mallory Hagan (former Miss America 2013,) & the princesses & belles are escorted by cadets through the gardens and a ceremony ensues. Then it was time to start the cocktail party & enjoy the food, catered by Bill Ellis BBQ. It was quite the fancy “pig-pickin’” party with pork BBQ (NOT hot dogs and hamburgers Jersey crew,) the BEST fried chicken I’ve ever had, slaw, fried cornbread sticks, and traditional Brunswick Stew- a southern staple. I’m still not sure why I didn’t put some fried chicken in my pockets to sneak home to enjoy later!! Women donned bright colored dresses, (& jumpsuits! quite a few girls were rocking them!) hats & fascinators & floral crowns. Men were outfitted in their finest seersucker suits and bowties! I chose this oh-so-comfortable jumpsuit for the occasion and it fit the part perfectly. My sweet mom was kind enough to dig through her closet & give me her hat to wear. I can’t wait to challenge myself to remix this jumpsuit when the weather gets cooler with a military jacket or chunky knit. Or if I’m feeling really confident, perhaps even to a wedding?!?! Thanks for stopping by & I look forward to casualonthecoast.com being my outlet for what is inspiring me in my kitchen, closet & life! Thank you to all my family & friends for helping, supporting & encouraging me to start this new venture! Your jumpsuit is beautiful! You’ve inspired me to try one myself, thank you! I look forward to seeing more from you! Thank you Kristin! You totally should! Let’s go shopping! xo! I have quite a few wedding this summer that I believe you have inspired me to try a jumpsuit for one! You look great!